These two pictures from the early 1900s were kindly contributed by Jackie and Muriel Bland from their family album. You can listen to Jackie and Muriel's fascinating memories in our new Sound Interviews. 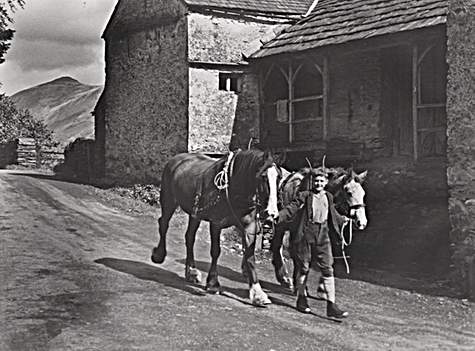 Muriel's brother Frank Rowlandson leading horses outside Townend Barn sometime in the late 1930s. 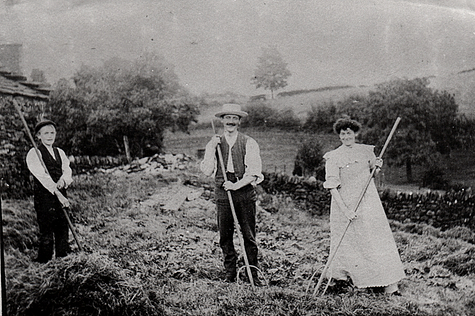 Jackie's parents Tom and Jinny Bland, gathering hay with Tom Storey near Jawnie Wife House around 1906. 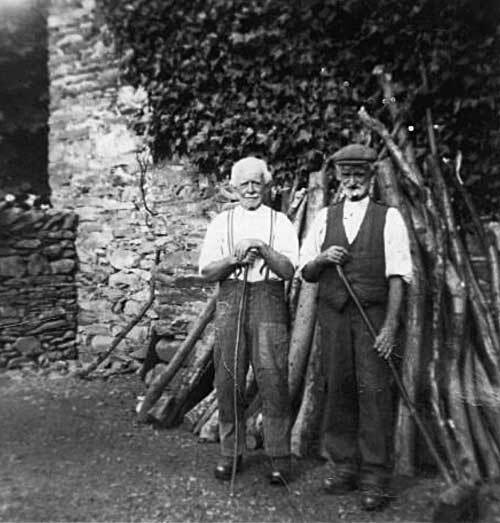 In Troutbeck, family networks are commemorated in the very buildings of the village itself. The most important and influential of these families was that of the Birketts, who, between the middle ages and the last century, had representatives in several of the constituent hamlets of the locality, even though their influence was declining in Victorian times. 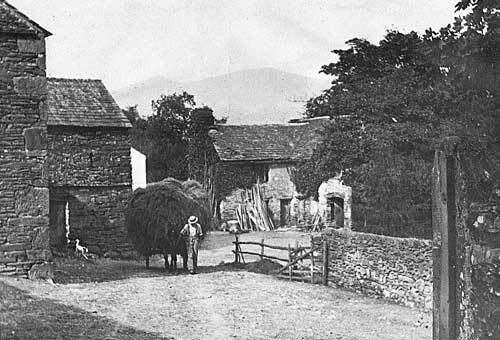 By the closing of Queen Victoria's reign, only three of the upper yeoman stock – the Brownes at Townend, the Bensons at High Green, and the Birkett-Forrests – remained in Troutbeck. In 1394, the name appeared as de Byrketh, and by Queen Elizabeth's reign Birkhead or Birkedes. In 1560 the Hearth Tax List, 1669-71, shows that the family group at the time, represented invariably as Birkett, was still the largest in the township. 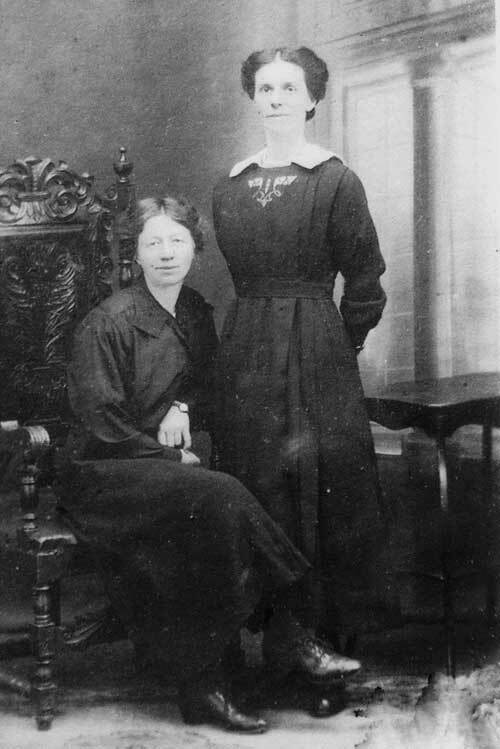 Miss Forrest and Maggie Ridley Miss Forrest was the owner of Low House Farm but lived in Birkett House, a converted farm building. 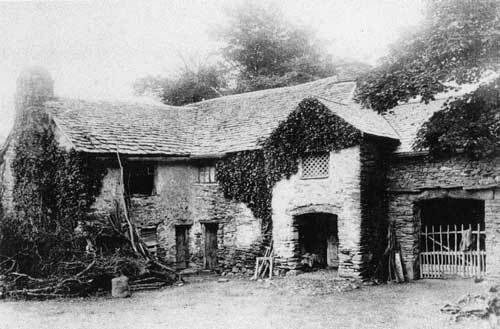 Thwaite was built as a house in the 16th century, but for 200 years it stood empty, used as a farm store, until the Elias family bought it in 1957 and restored it to its present state. Haymaking at Low House Farm. Low House Farm was run for Miss Forrest by Willie and George Brownrigg who lived at one end of Birkett House. 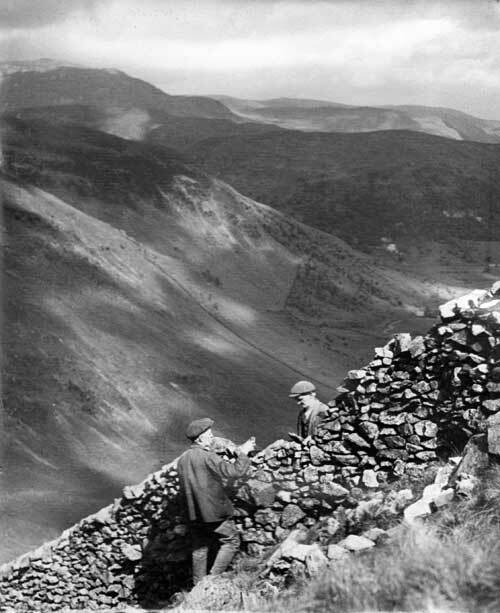 Repairing a dry stone wall The Brownrigg brothers in Woundale near the Kirkstone Pass. Maggie Ridley Miss Forrest's housekeeper lived with the Brownrigg brothers at the opposite ends of Low House Farm. 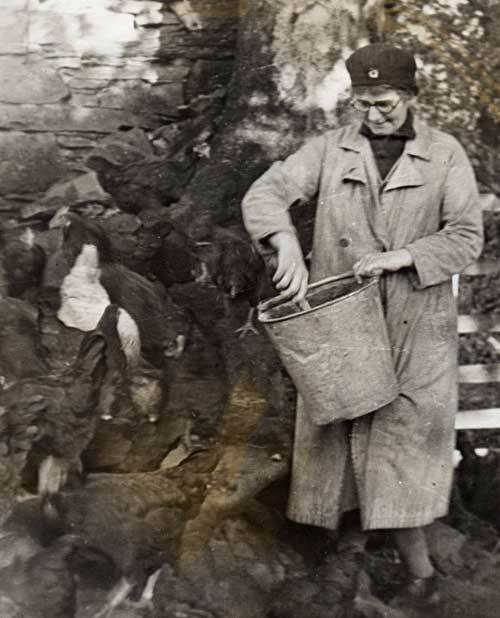 It was Maggie’s job to feed the hens. In 1957, when the Brownrigg brothers became too old to work the farm, Miss Forrest put it up for auction, and it was bought by the Elias family, who still own it. Since then the Elias family has lovingly converted Thwaite back into a private home, and it's now one of the Lake District's most original and unchanged farmhouses. 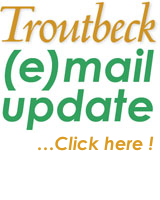 The Elias family's connection with Troutbeck goes back over 70 years, since the summer of 1938 when Harvey Elias’ father was a tenant at Low House Farm – perhaps the first person to take a 'holiday let' in Troutbeck! When the farm was sold, Maggie Ridley and the Brownrigg brothers joined Miss Forrest in Birkett House. Eventually after the death of all four, Birkett House too was put up for sale in 1967. 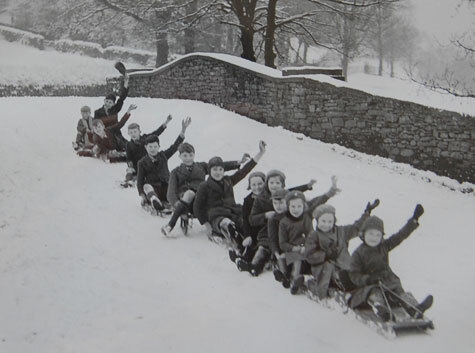 This wonderful picture was first published in the Westmorland Gazette.